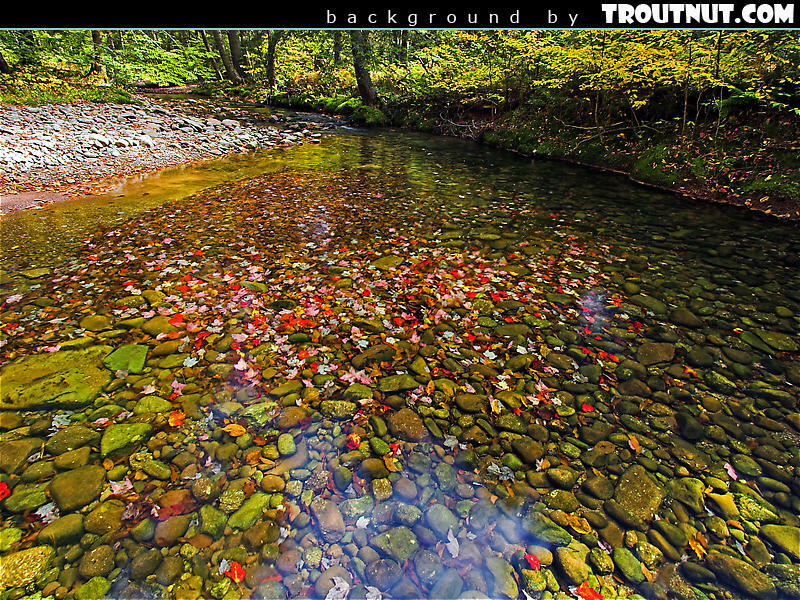 I spent more than an hour casting to several rising trout in this pool and caught only two. Its clear water and tricky currents harbor dozens of free-rising, usually very hard-to-catch fish. 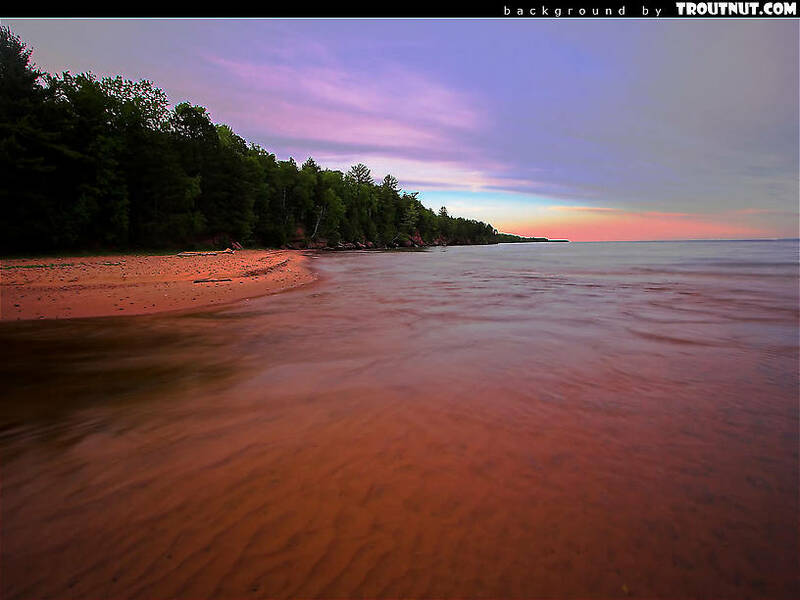 This is the shore of a beautiful island in Lake Superior. To the left is a narrow channel leading to a a large, shallow bay. 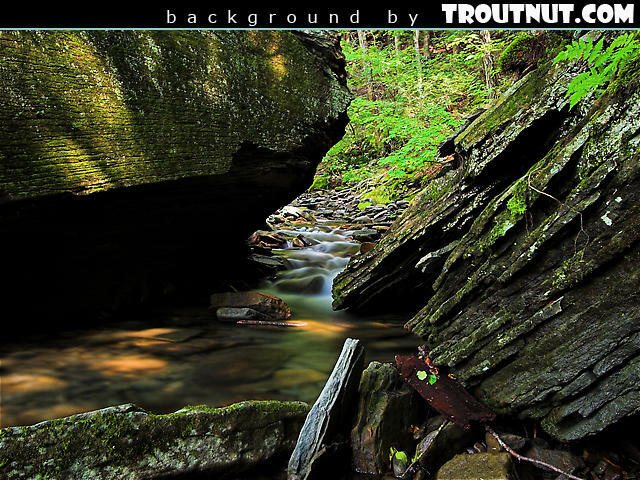 For how many years, I wonder, have these huge slabs of rock sheltered wild brook trout? 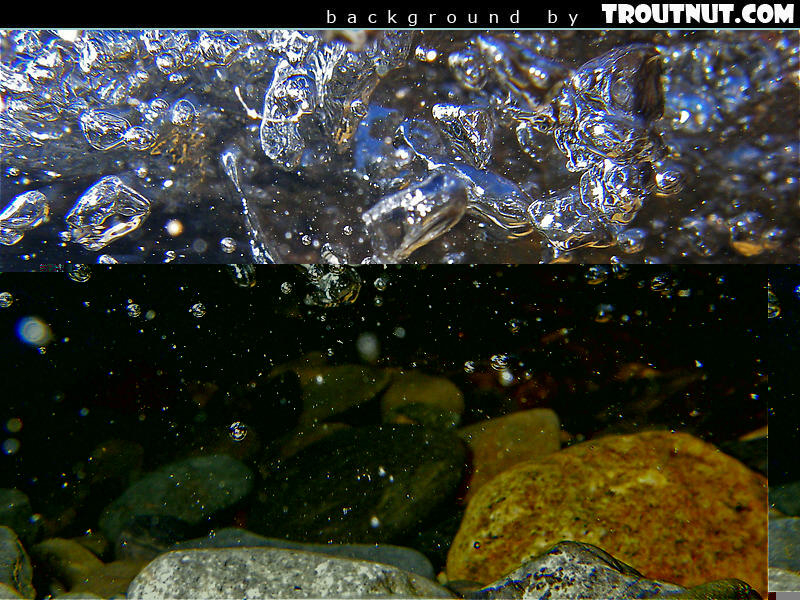 This desktop background was created from this underwater picture. 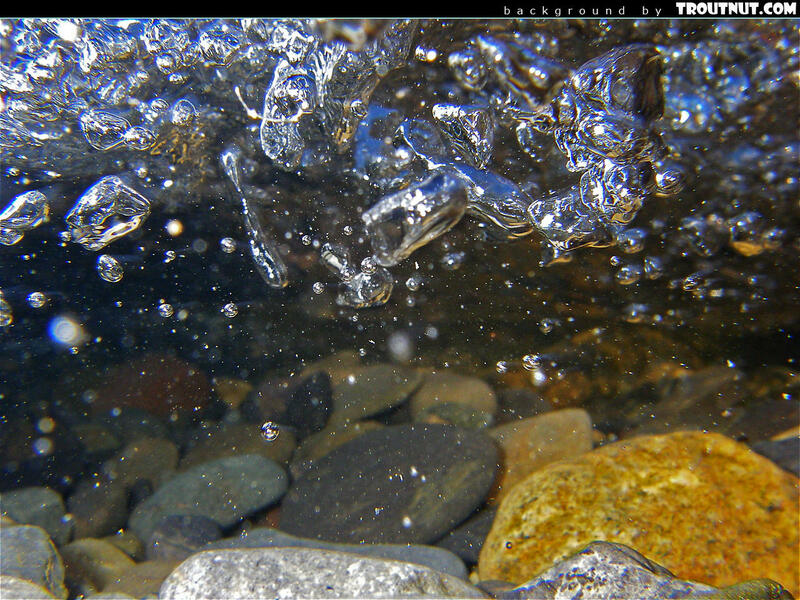 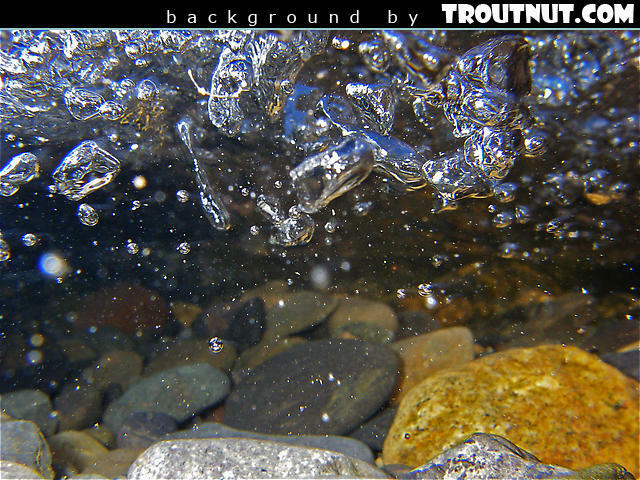 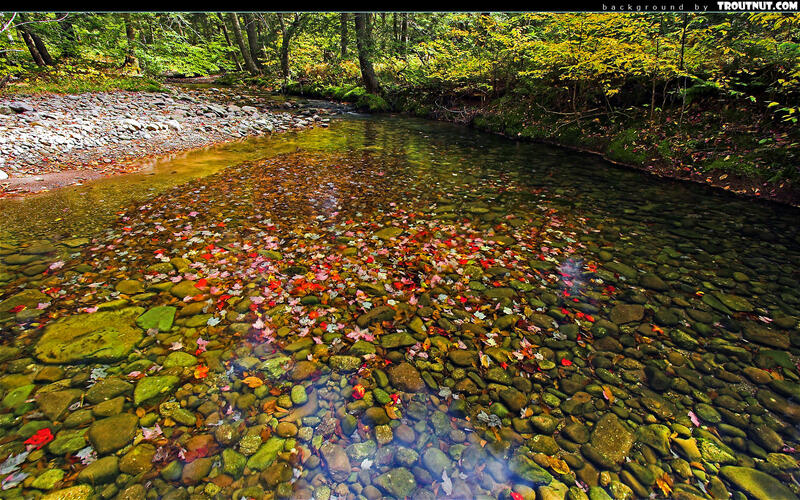 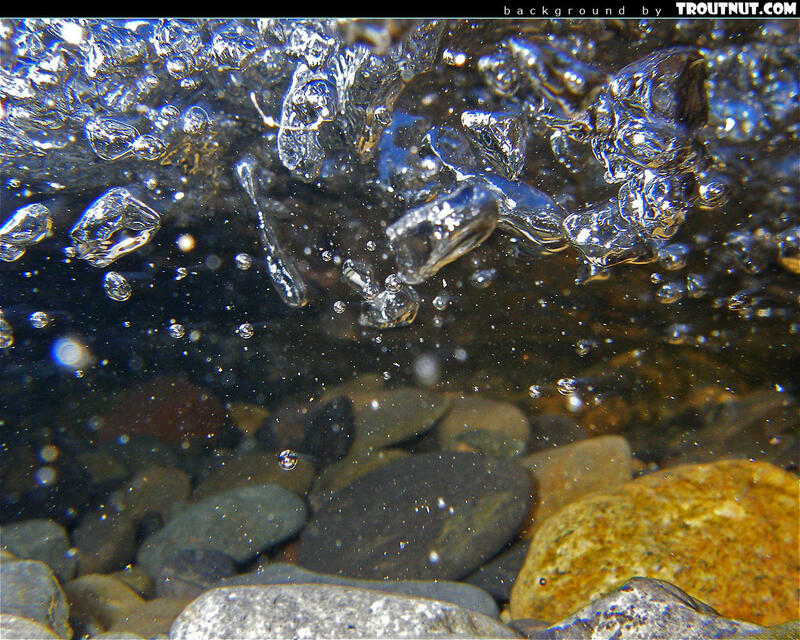 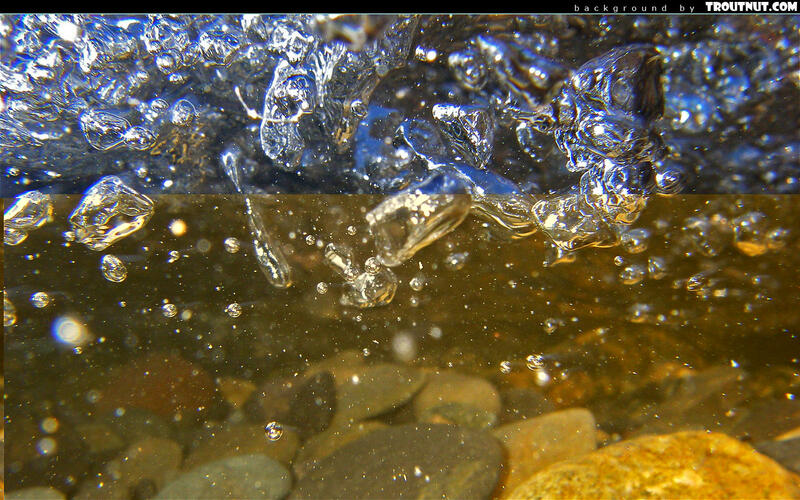 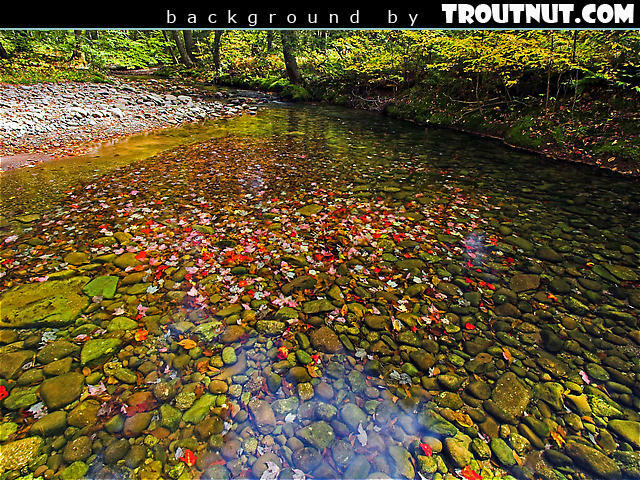 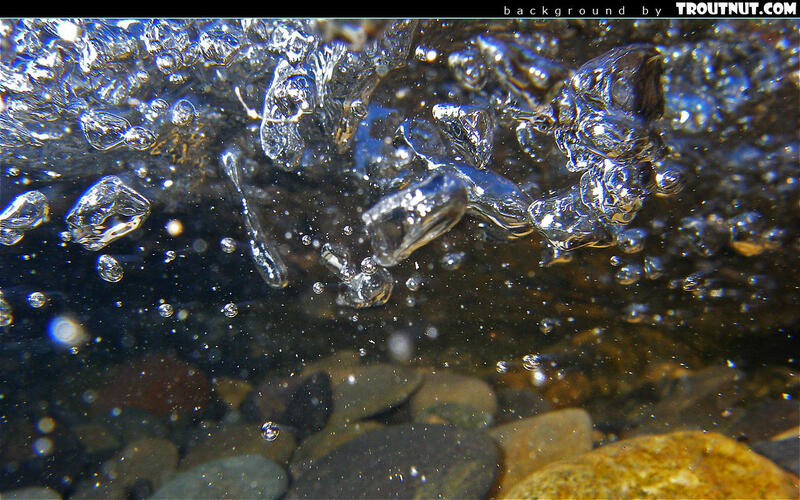 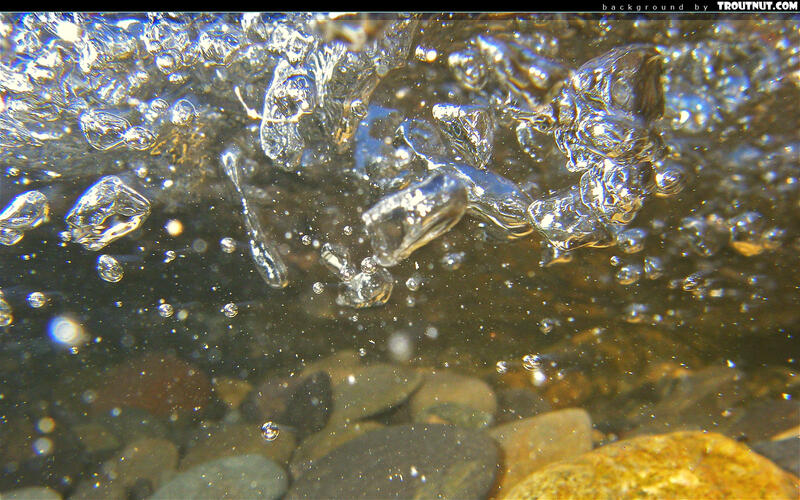 This flash photo freezes the turbulent underside of a shallow riffle in a clear trout stream. I wasn't actually fishing the river where I caught this one. I was just scouting, didn't like the look of the water, and as I was walking back to the car this little dun landed on my vest. Why can't they all be so easy to collect? 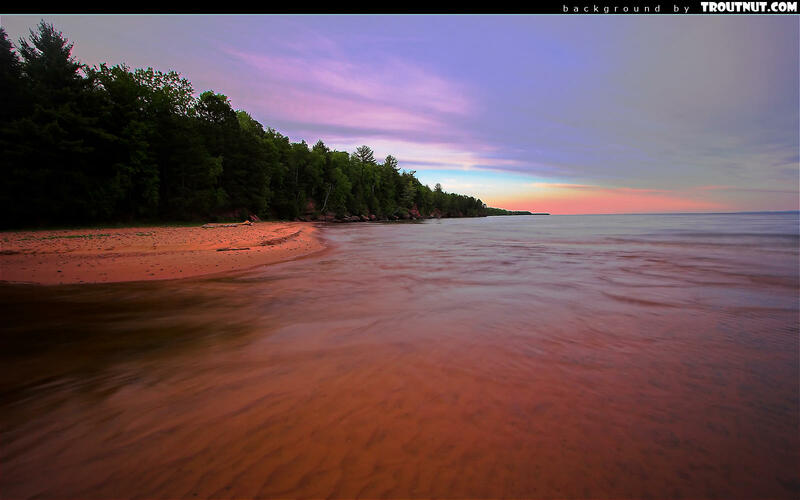 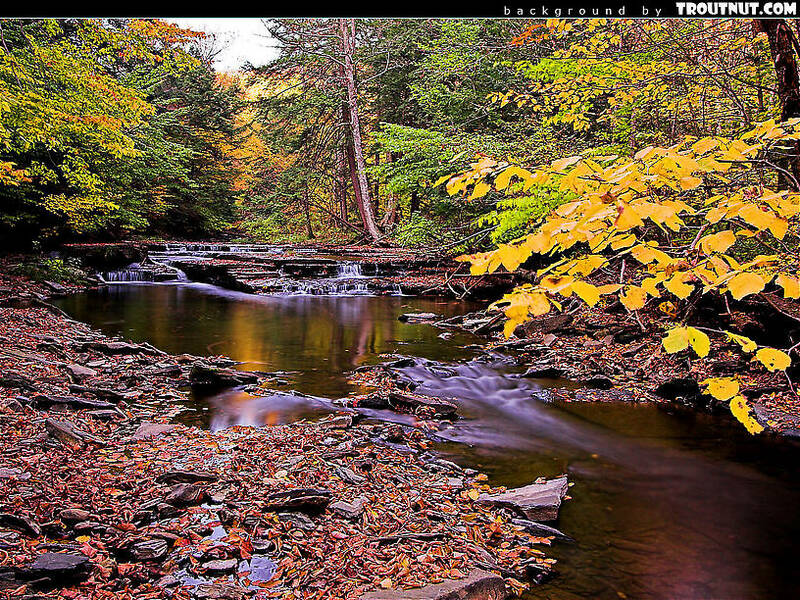 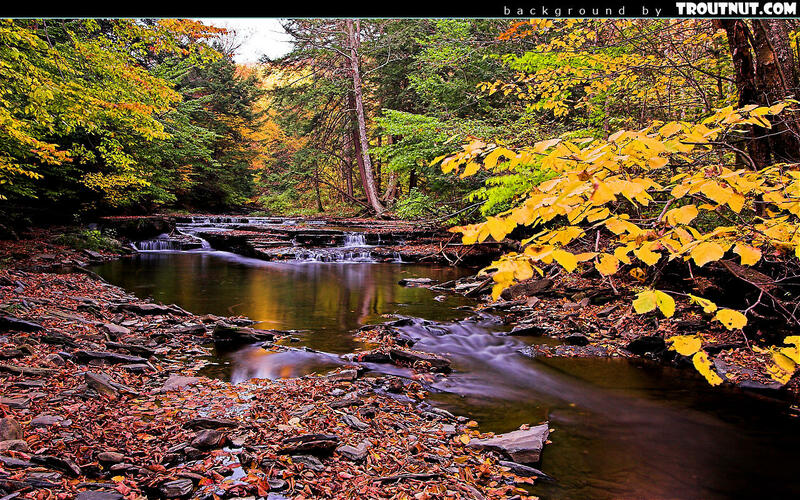 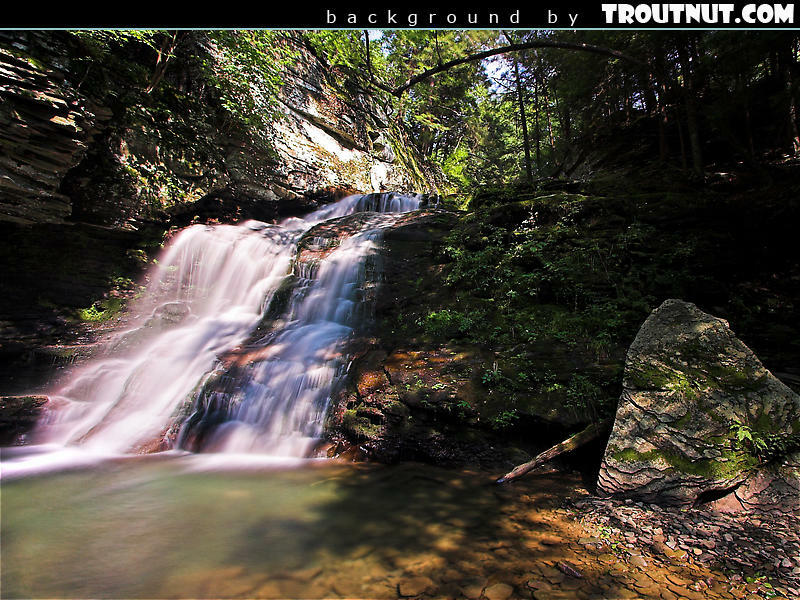 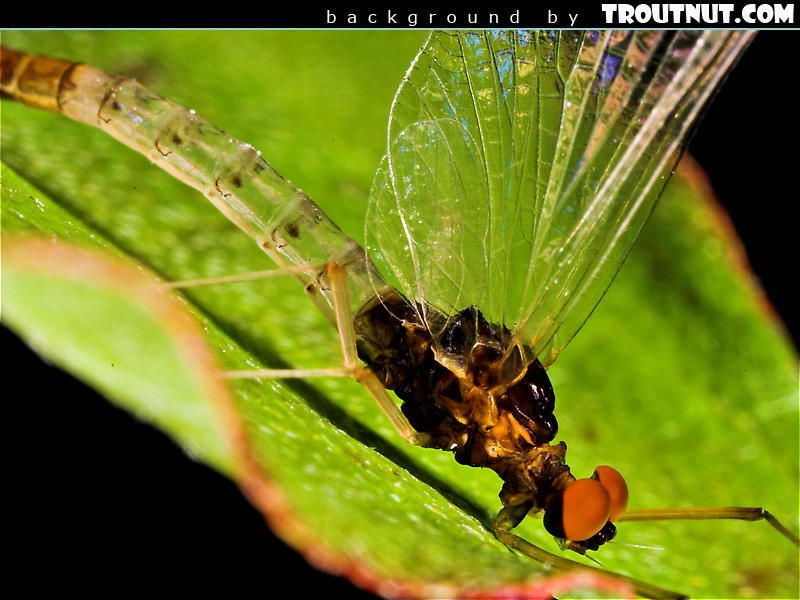 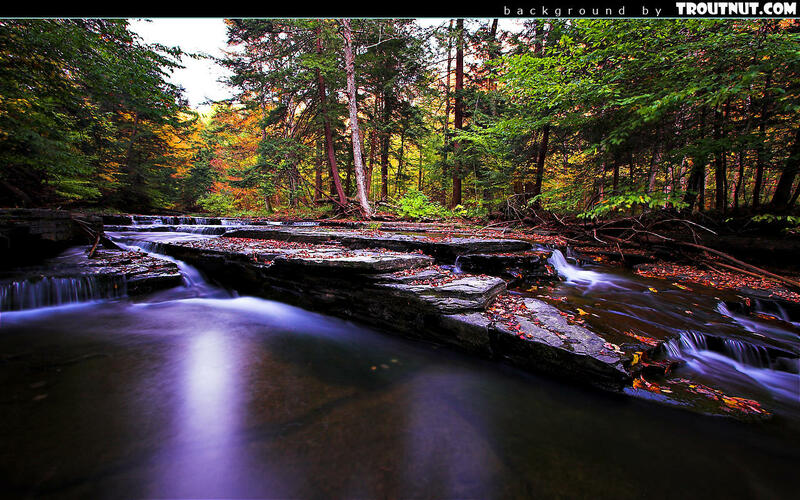 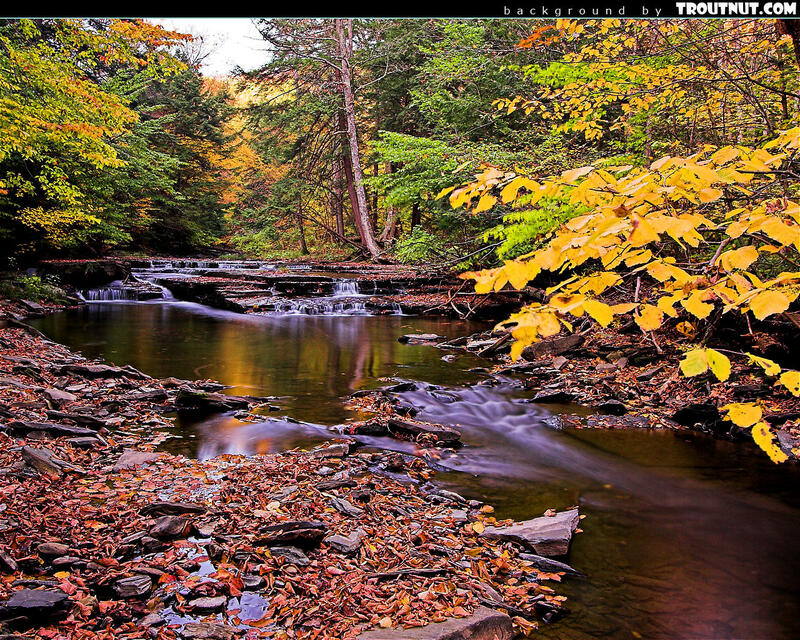 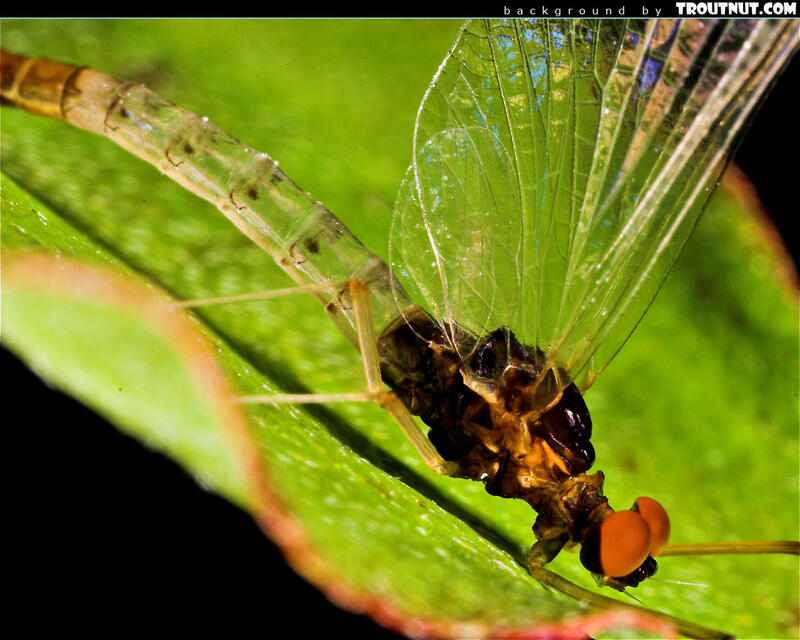 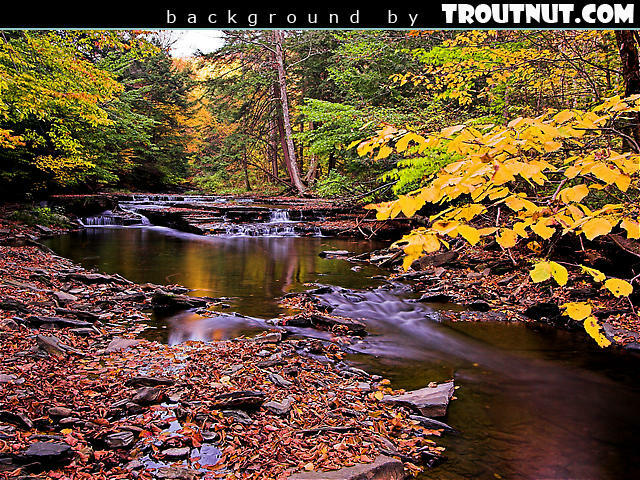 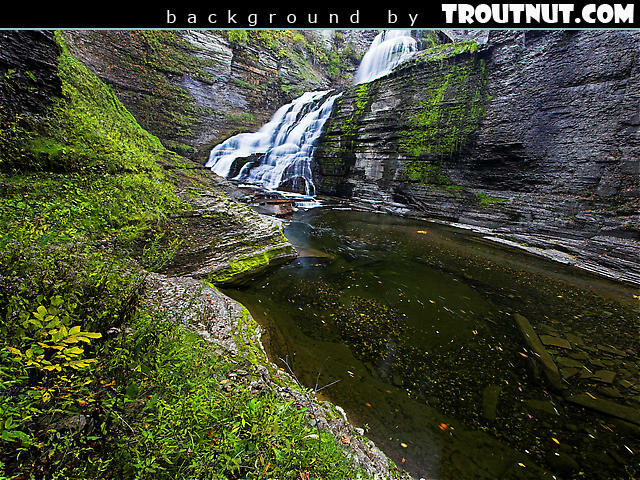 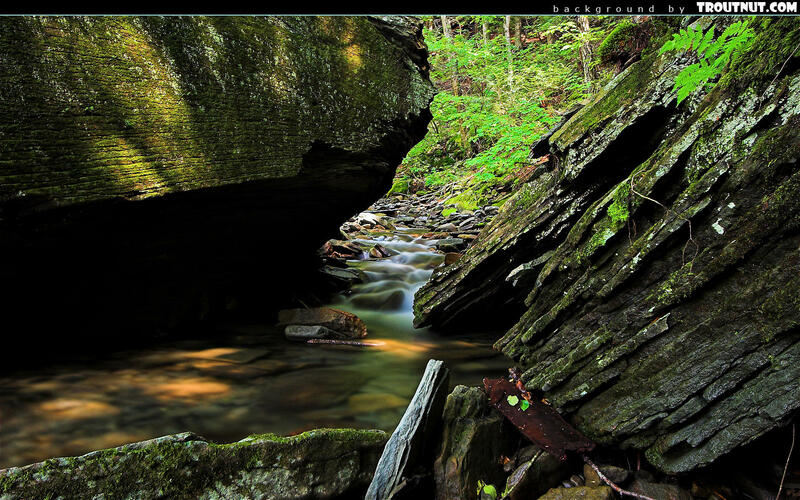 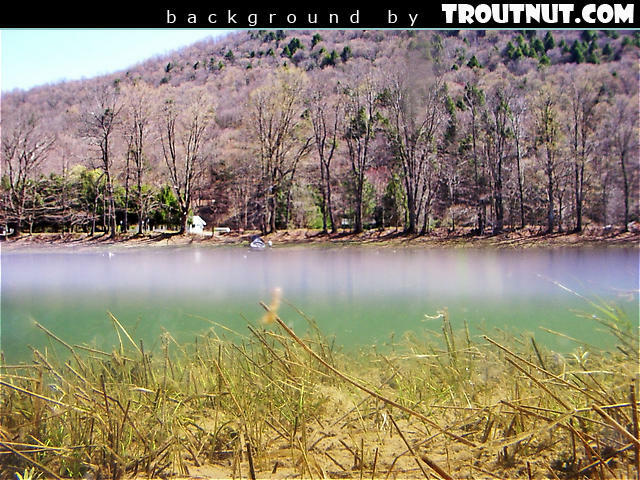 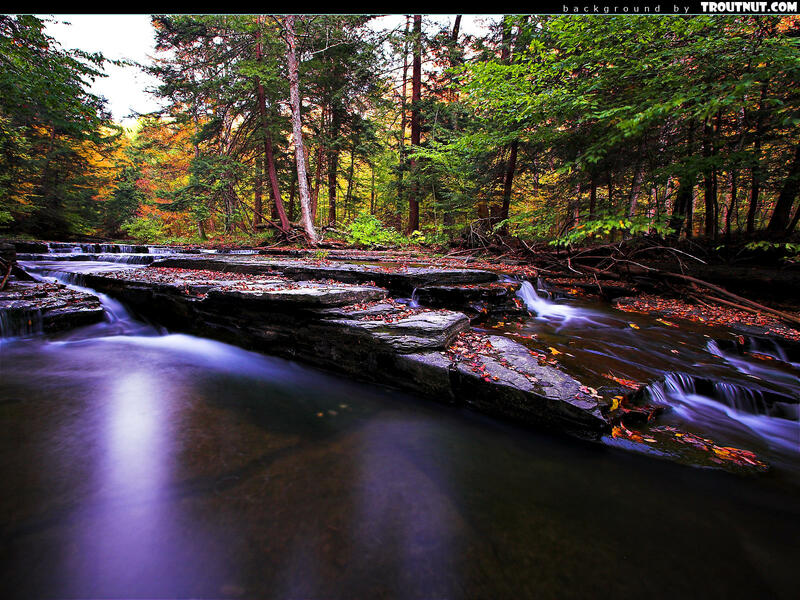 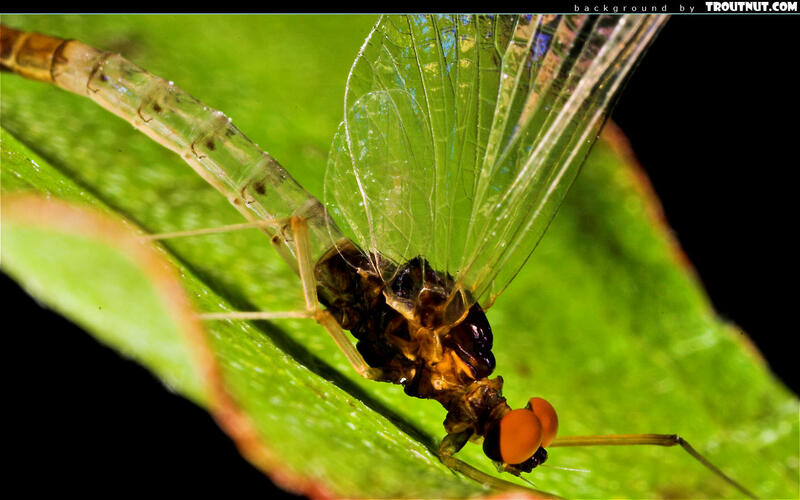 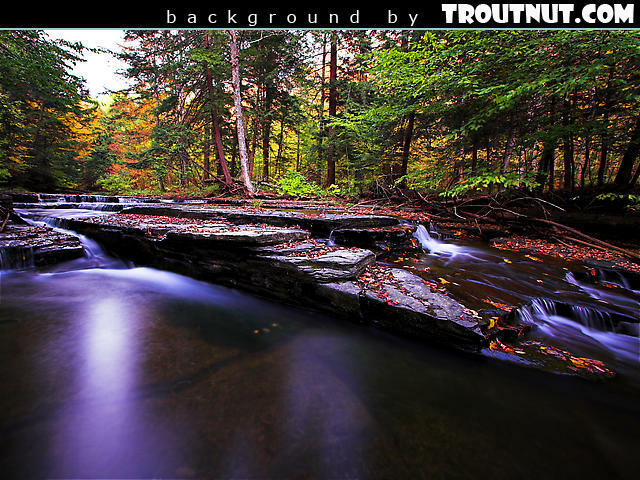 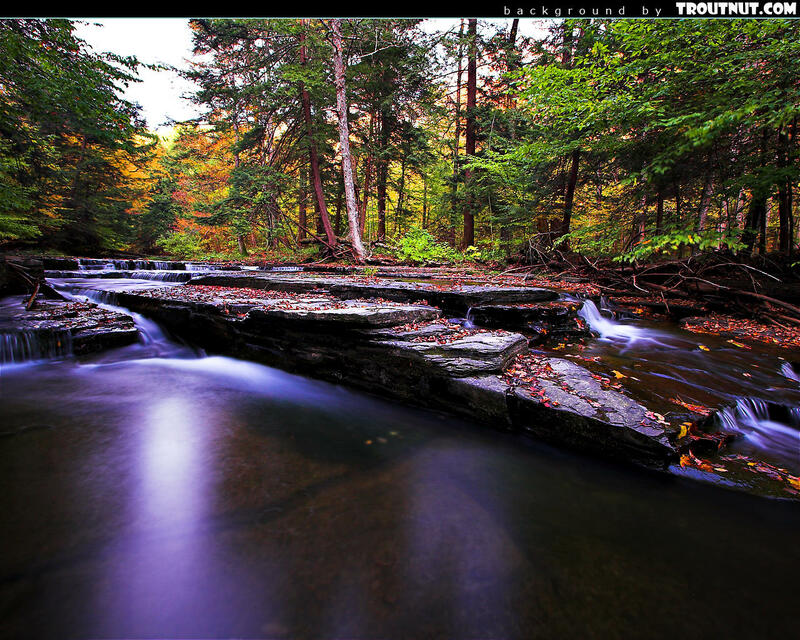 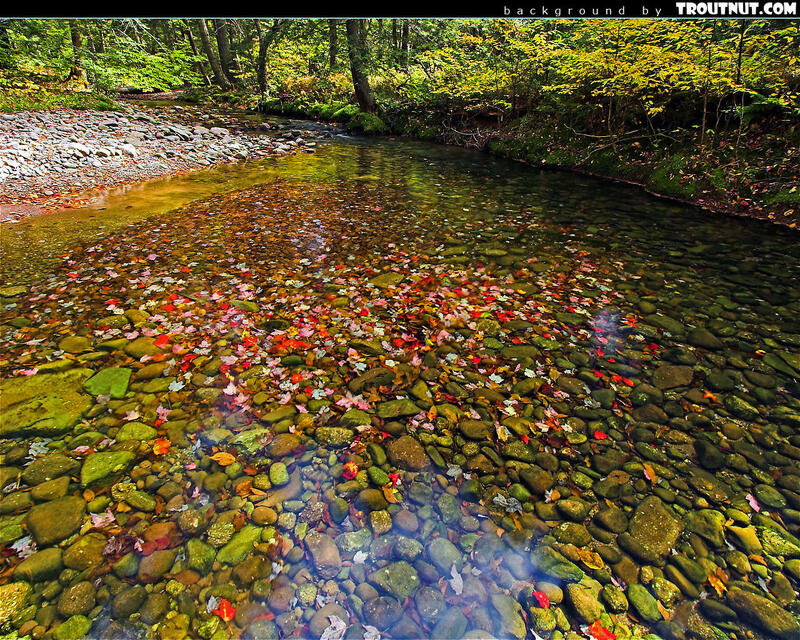 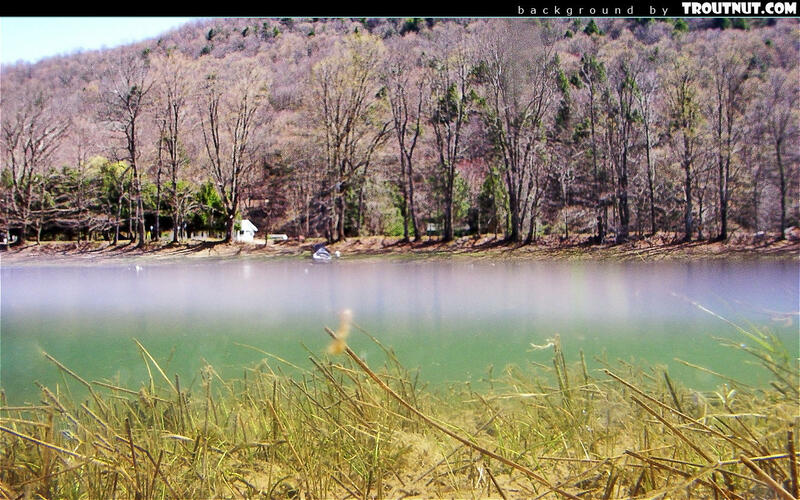 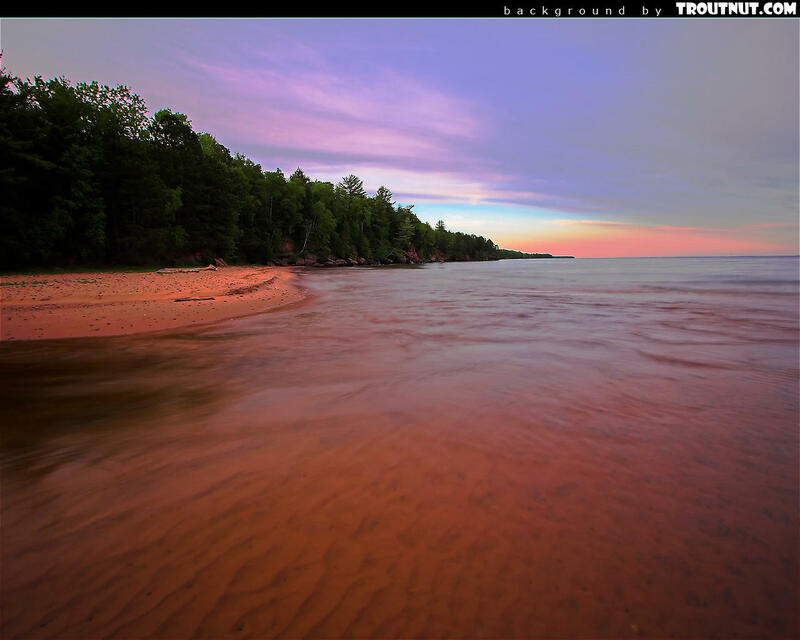 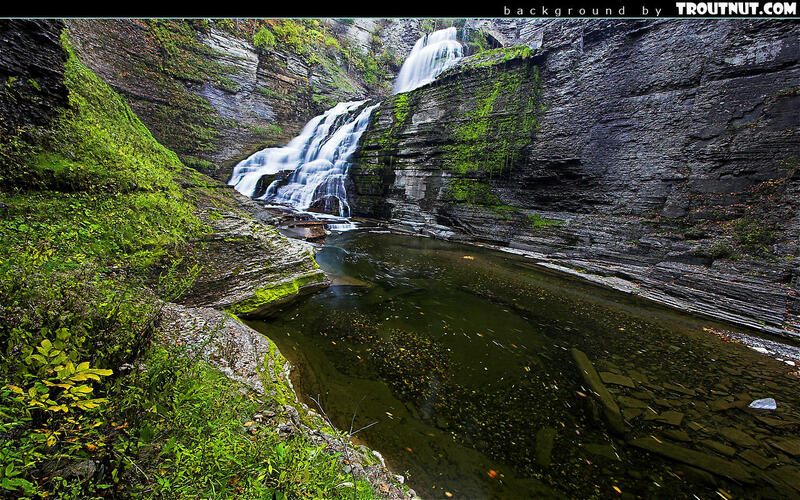 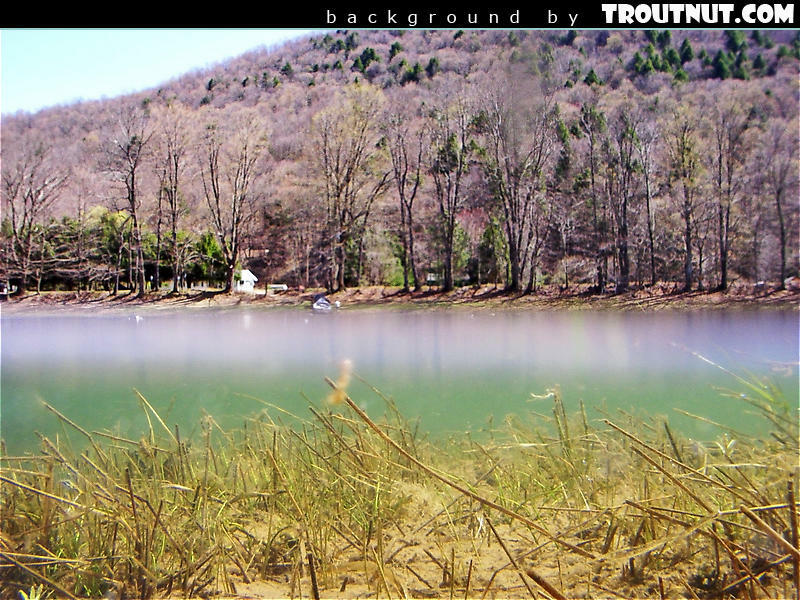 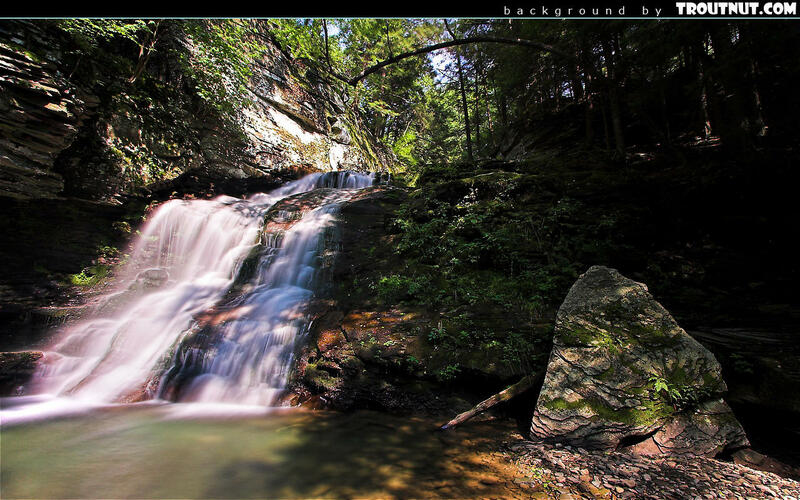 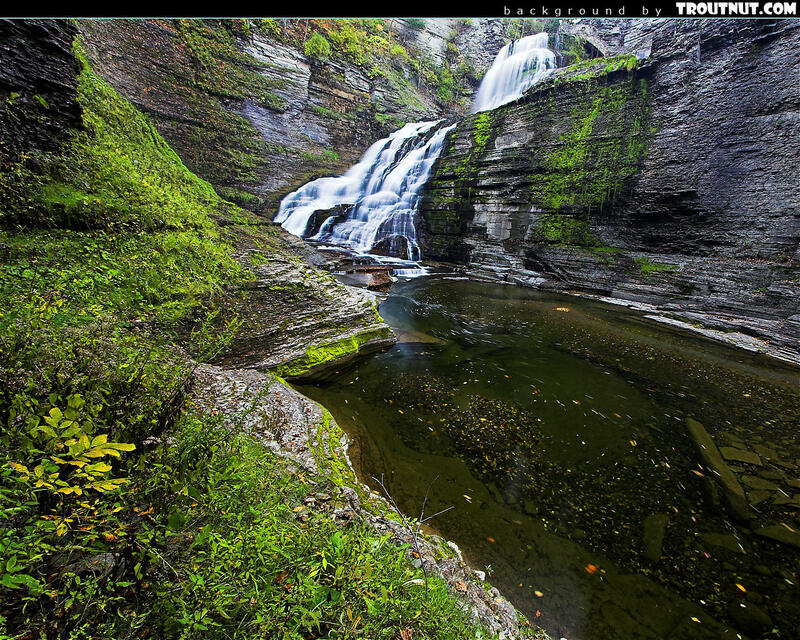 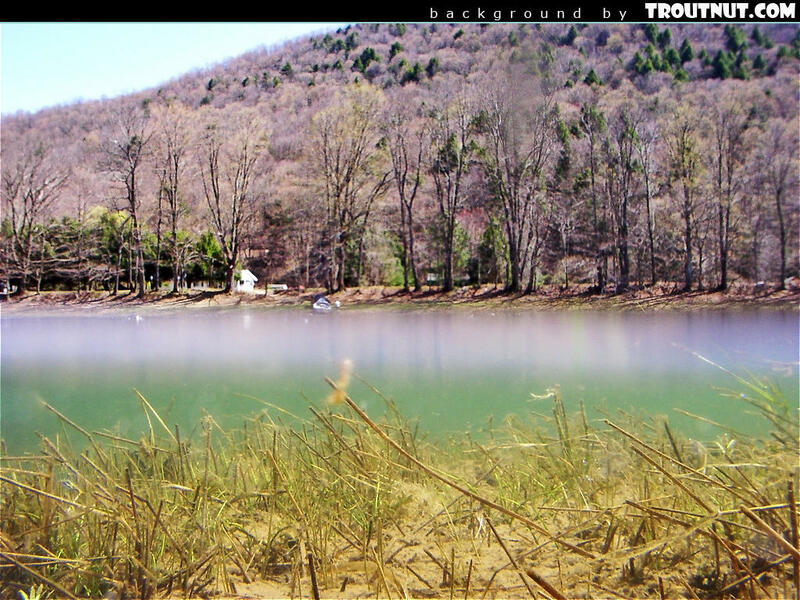 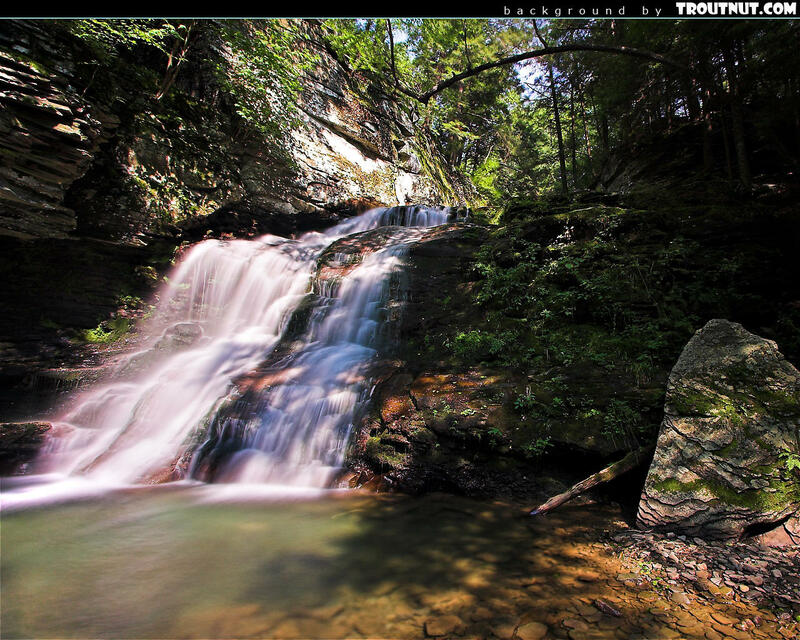 This desktop background was created from a picture of this Male Paraleptophlebia Mayfly Spinner. I caught several wild and colorful 8-9 inch brook trout in the clear little pool below this waterfall.